iLaddie: Whisky Nerd: A Laphroaig 10yo to warm me up? 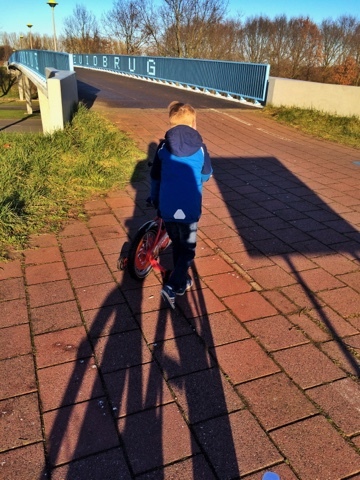 Today I went for a rather long bicycle ride with my 6 yo son! It's around freezing point here in the Netherlands so it was brisk to say the least! Ones home the little dude is happy to sit at his WII U Lego game, which gives me the time to enjoy a wee dram to warm me up! Standing in front of my "non-Bruichladdich" part of the cupboard I was thinking and debating which dram to have! It was definitely not going to be the Akashi White Oak! That was a mistake to buy but you only find out what you don't like by trying. So the Aberlour then? It's warming yes, but more a dram for later at night! So maybe the Ardbeg 10? The Talisker Storm? Nope I choose the Laphroaig 10yo to warm me up! 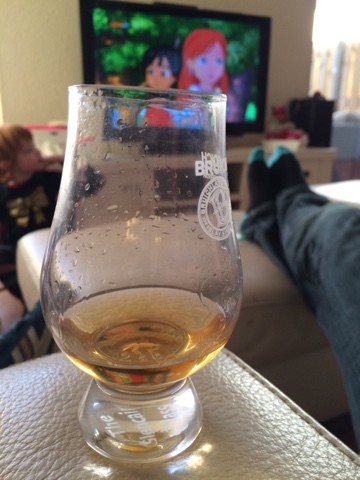 So while the kids watch Dora and play on the WII U, dad gets to put his feet up and nip on his dram! While at the same time writing this blog! So does it warm me up? Well that's where it gets weird! I do enjoy the Laphroaig 10yo a lot but somehow it's not bringing me the warmth I was looking for. Yes there is peat! Yes there is a peppery note for sure but ones swallowed it doesn't quite warm me inside as I would have hoped! Can this be the "only" 40% vol that just doesn't give the warning effect? Maybe! Can I be that the room I'm in is cold? Plausible! 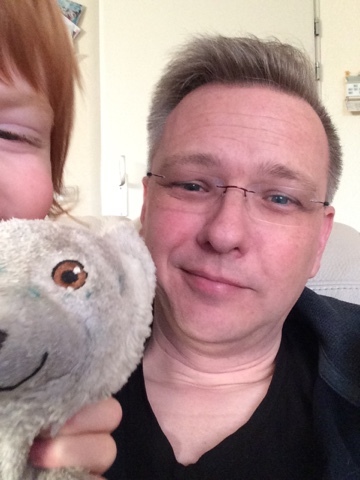 Most probably it's the combination and these facts and that my 3yo daughter keeps pressing her cold hands in my face and that bear of hers! So now I have finished my dram, this blog is about to end with an observation. If you want to get warm with a dram, don't have cold bears around! Now that if had my dram and I'm correcting spelling errors I do feel some warmth from within but not the rush of warmth I was hoping for. 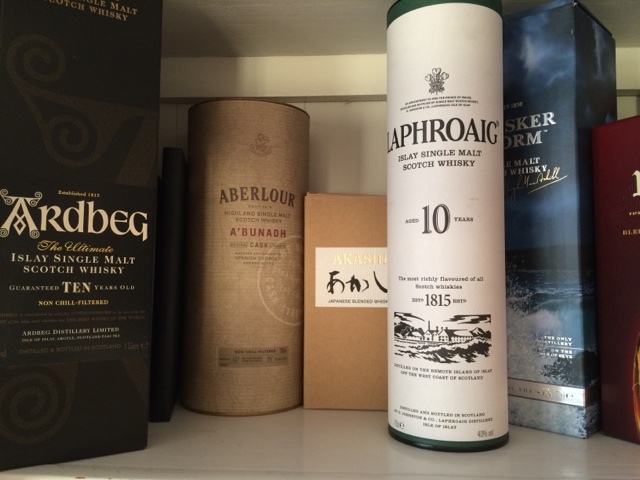 So next time I want to warm up with a dram I will select another of my bottles and see how those do! This only shows that the only way to learn about whisky is by experience! To quote Adam Hannett:"interesting! ".